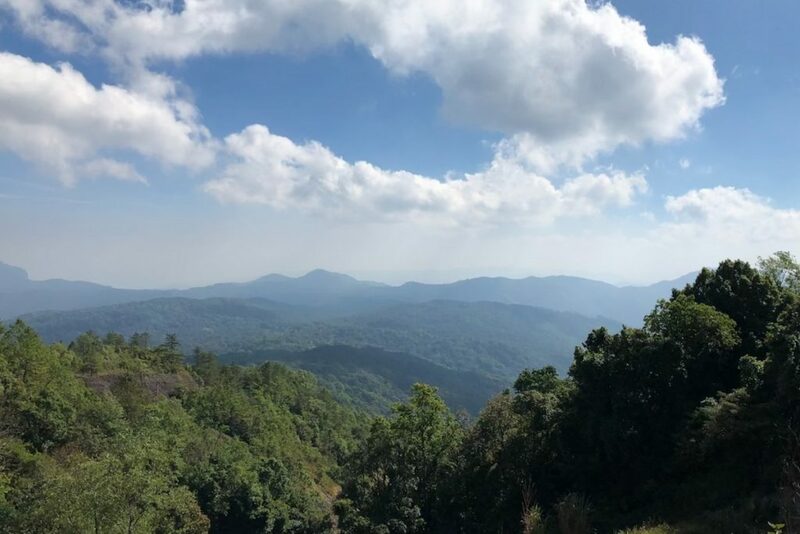 If you’ve searched for the tallest mountains in Southeast Asia, the chances are that you’ve heard of Doi Inthanon, the tallest peak in Thailand. The twin pagodas at the summit of Doi Inthanon. Second Checkpoint of Doi Inthanon, featuring my parents. 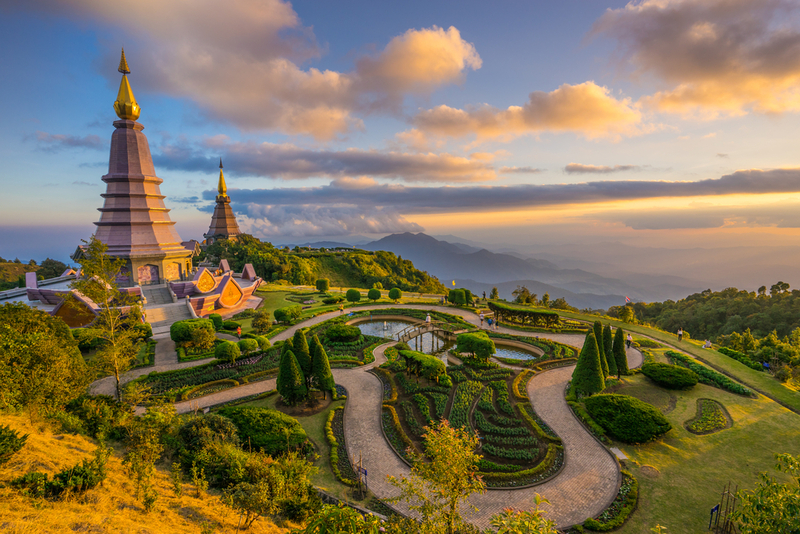 Doi Inthanon was named after the 7th ruling Prince of Chiang Mai. Squeezing in 2,565m of elevation within a span of 38km, combined with an average gradient of over 8.5%, it is by far the hardest climb I’ve done in my life. To put things into perspective, the world-renowned Taiwan Wuling KOM has an elevation of 3,275m over a span of 100km. I revere Doi Inthanon till this day. Route to the summit of Doi Inthanon. However, do not be fooled by the low average gradient of 8.5%. 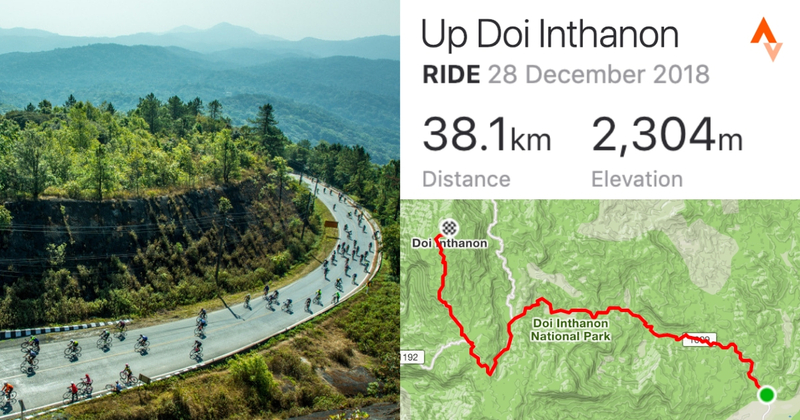 Doi Inthanon starts relatively easy, with gentle slopes mixed with rolling hills, and I felt like I was rolling relatively fast. It reminded me of Cameron Highlands. Do note that there is a small entrance fee you have to pay to enter – 300THB or S$12.80 per person (it’s 30THB for locals), and 30THB for a car. Make sure to keep the ticket with you at all times, as they might be checked by marshals during the subsequent check points. I read from somewhere that when you are approaching the summit, you would wish that you had paced yourself. So I did. Equipped with a 42T cassette, spinning was made easy, and gradients were reasonably easy to conquer. I honestly had fun. 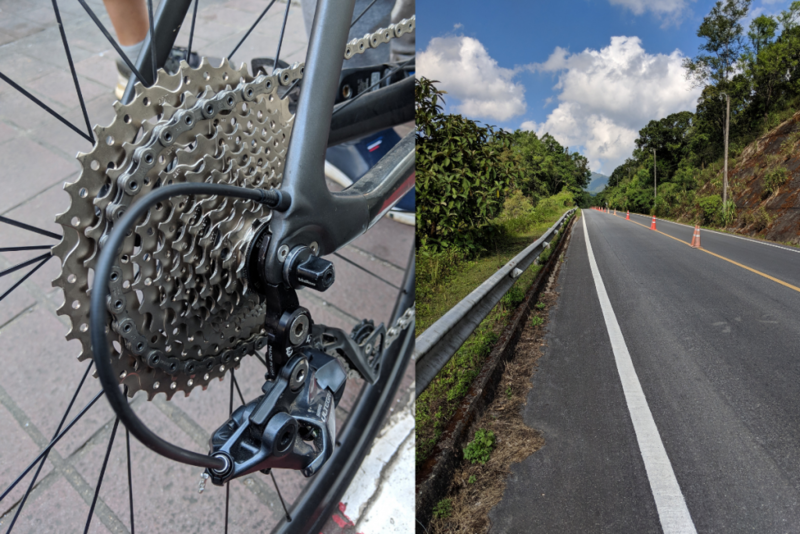 My bike was fitted with an 11-42T Casette to tackle Doi Inthanon. I’ve heard stories of people summiting Doi Inthanon on an 11-28T cassette. It is doable, albeit knee-grindingly painful. For most of us, I recommend going for a compact chainset (50-34T or lower), combined with an 11-30T (or more) cassette. There were times where I just unclipped and stopped to take pictures, obviously also took this opportunity to rest and recover. Never have I ever felt so much urge to push my bike. I didn’t want to. It was a promise I made to myself, and I had to keep to it. I remembered having problems clipping in with my left foot after dismounting on a steep gradient. (Lesson learnt: Click down a few gears and crank away before clipping in). That way, with a little speed, there is less risk of you rolling behind after launching off, and it’s much easier to clip in. The pain started to kick in after the second checkpoint which was about 20km into the climb. I had to dig really, really, deep. The gradients after the second checkpoint were not as easy as the first; they are over 10%. More often than not, I was in the lowest gear ratio; 34T front – 42T rear. Digging deep in Doi Inthanon during the segment where the gradient averaged over 25%. 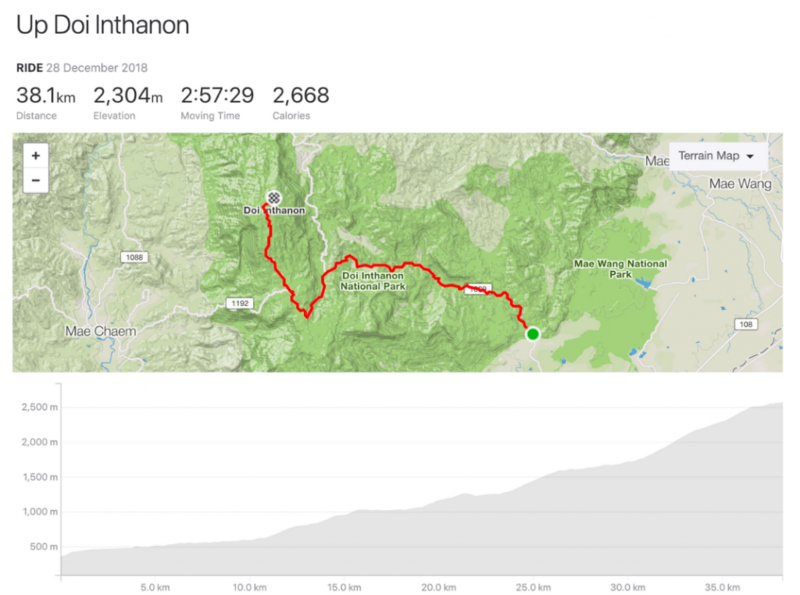 Though I was comfortably spinning at my usual 90-95 rpm (revolutions per minute), I still had to crank at some parts, especially during switchbacks which could hit above 30% gradient. When the going gets easy (and you can gasp for air), the gradients are between 12-15%. Just imagine resting mid-climb up Lorong Sesuai. The view as you rode uphill. It will bite after you are left with the last 10km, typically averaging above 20% gradient for a few kilometres. Having no choice but to crank up slowly, it was a slow and painful climb. My cadence was hovering pitifully under 60 rpm. The last 2 kilometres were excruciating as I slowly crept up. I certainly felt that way. I didn’t want to stop. My resting cadence was at 30 rpm, and it felt like I was doing resistance training. My knees were screaming. As I rode closer and closer to the summit, the air was so thin and cold; I could barely breathe. Inhaling in the dry air hurts my lungs. It was this kind of feeling that made me feel whatever training that I have done previously wasn’t enough. The only thing that motivated me was seeing the twin Pagodas drawing closer. It gets quieter and lonelier as there was less traffic. 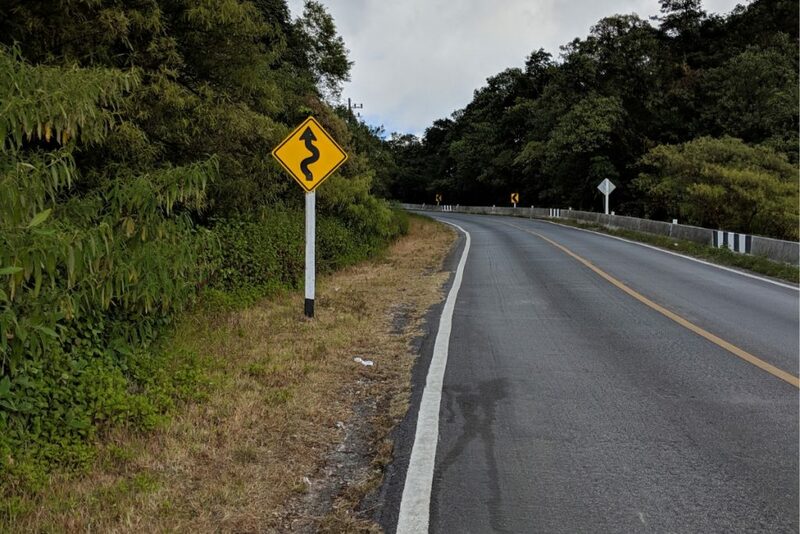 There weren’t any cyclists around. Slowly, one pedal stroke after another, I dawdled up. I was left with about 500m to go. I could feel it; Every pedal stroke was pulling me closer to the goal. I was going to summit Doi Inthanon. The atmosphere felt divine as I inched closer to “heaven”. The last few metres felt a bit surreal. I was finally at the top. It was cold, and I could feel my heart pumping fast for a long time even after the ride. Words can’t describe the sense of fulfilment I felt when I saw this at the summit of Doi Inthanon. Before the flight to Thailand, I’ve prepared the routes through RideWithGPS and downloaded the map of Thailand into my cycle computer. Throughout my stint in Thailand, after experiencing the gradients of above 20% in Doi Mae Salong and Chiang Dao, I knew I needed something lighter. I swapped my 11-32T Cassette for an 11-42T Cassette in a local bike shop in Chiang Mai. 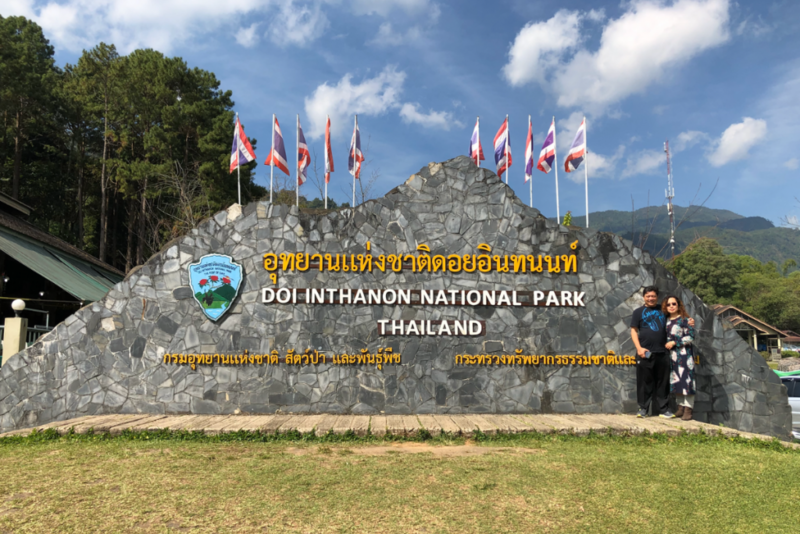 I travelled with Scoot to Chiang Mai in December 2018 and paid for extra luggage (20kg for about S$50) for my bicycle. In my bike travel case, I brought along my bike, helmet, cycling shoes, four extra bike tubes, a few tools (including a torque wrench), and a floor pump. Weighing the whole bike bag, we barely got past the 20kg weight limit. 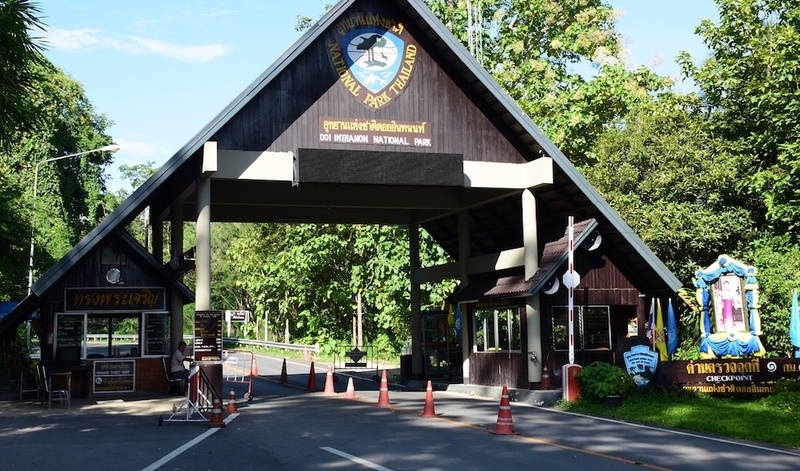 There are many tour agencies scattered around Chiang Mai City and most offer a drive to Doi Inthanon. They’re usually a one-day trip because of how far Doi Inthanon is from Chiang Mai City. I am fortunate to have my ever-supportive parents drive me to the entrance of Doi Inthanon. 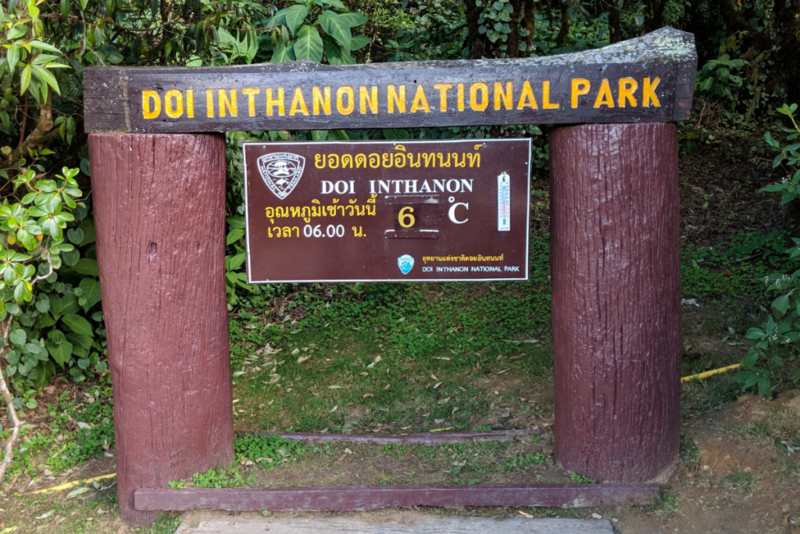 Doi Inthanon is rather far compared to Doi Suthep (I was able to ride to the base of Doi Suthep) from Chiang Mai City. You’ll have to arrange transport if you wish to stay nearer to the city centre, which I highly recommend if you want to be near civilisation and good food. What would I have done before flying to Thailand? I would undoubtedly have done more low cadence and high power drills. 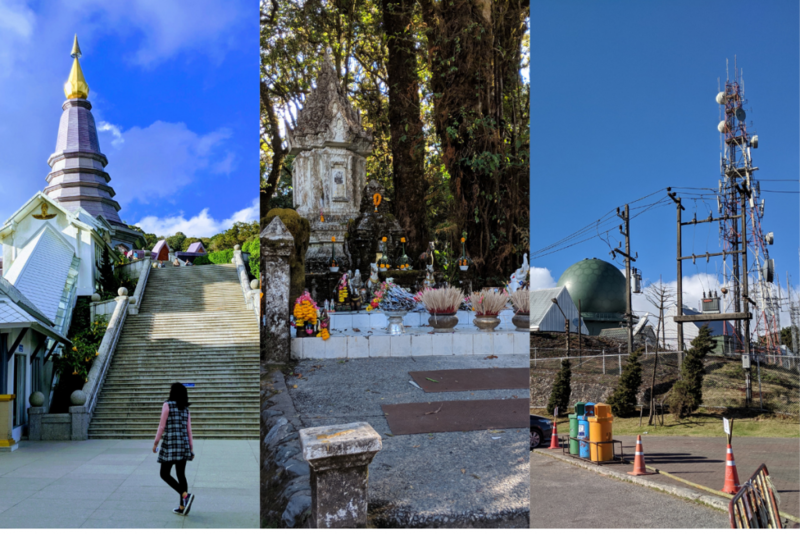 To all readers, I urge you to put climbing Doi Inthanon as one of your bucket list items. It will certainly give you an experience that you will never forget, and a sense of accomplishment that cannot be achieved locally. Darren is an avid cyclist who is really keen to meet new people and explore the roads untravelled. He appreciates mountains or terrains that gives him a challenge. He love overseas adventures and is always keen for more. He is currently waiting to pursue Sports Science and Management in NTU this year.